Paediatric orthopaedic services are offered to children for a number of conditions. Orthopaedists see children for fractures, discoid meniscus, ACL tears, ankle sprains, hip dysplasia, in-toeing, and toe walking. They are also treated for conditions such as flat feet. Flat feet do not develop. Children already have flat feet when they are born. Therefore, an infant may have flat feet as he or she grows. Flat feet occur because a child’s joints and bones are adaptable and his or her feet tend to stay flat during standing. In addition, a baby has a pad of fat on the inside perimeter of the feet that conceals the arch. The arch naturally disappears when a baby stands. Typically, if you visit an orthopaedic clinic in Singapore, medical professionals can give you further direction about managing this type of condition. Usually, flat feet disappear when a child is around six years old. At that time, the feet lose their flexibility and the arches begin to develop. About two out of every ten children continue to have flat feet as they grow. If a child does not develop an arch, treatment is not advised unless the patient is suffering from pain or stiffness. Whilst some people believe that shoe inserts may help, they will not help a child develop an arch. In fact, they can cause even more problems than the flat feet themselves. However, that being said, some forms of flat feet do need treatment. If a child experiences tightness in the Achilles tendon, which restricts the movement of the feet, stretching exercises are often advised to stretch out the heel cord. In some rare instances, a child may have rigid flat feet. When this condition develops, a child may have problems moving the foot side to side or up and down. This flat foot condition can lead to arthritis if it is left untreated. Normally, rigid flat feet appear during the teen years and need to be assessed by a paediatrician. 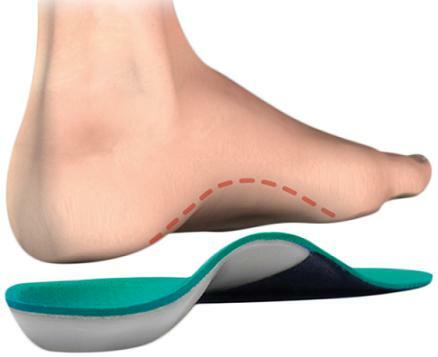 Symptoms that are associated with flat feet that need checking include foot discomfort and pain or pressure or sores on the inside of the foot. When a foot is stiff or cannot easily move as indicated from side to side or up and down, you need to consult with an orthopaedist who is well versed in children’s foot problems and the associated treatments. Whilst flat feet normally are not thought to be an undue concern, they still need to be checked and treated accordingly from time to time. If your child has any orthopaedic problem, do not hesitate to contact a specialist.